Here is some light reading that I am about to enjoy - lets start with Nars Makeup Your Mind: Express Yourself, this is an updated version of the original book using real people instead of models. One page shows the model (or real person ) with no makeup and the opposite side shows the face made up, in between there is an acetate with instructions of colours used. I will delve into the book and review it in detail later. This is a coffee table book that you would dip in and out of . Kardashian Konfidential is a beauty and life guide by the Kardashian sisters, I borrowed this from the library, when it was released in the USA it revealed that Orly Confetti was Kim's favourite nail polish. Mania ensued and Confetti sold out. True Whit is another beauty and life guide, this time by Whitney Port. I actually picked this up for himself (for a giggle) as Whitney is his TV girlfriend, he loves her. If you want more information or full reviews on these books let me know. 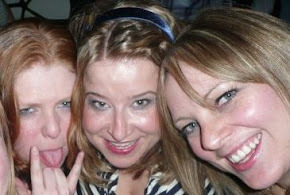 Myself, Mags (Actionmags) and Orla (Redser) are off to Slane today! We're very excited... it's our 7th time seeing Kings of Leon (correct me if I'm wrong girls), so it's fair to say we're pretty big fans. I even have one of Nathan Followill's drumsticks, which I got by rugby tackling and wrestling several people when he threw it into the crowd at the o2 a couple of years ago. Yeah, classy. This is the nail polish I picked for today. I wanted something bright as will probably spend the day hidden under my massive navy Penney's rain poncho (although the weather forecast isn't too bad, touch wood). This is Orly's 'Oh Cabana Boy'. It's a Barbie pink with a kind of purple iridescence to it. Isn't it the most amazing colour? I found it hard to get a photo to do it justice & funnily enough my iPhone camera did the best job. I bought this at the Orly stand in Boots in Liffey Valley which only sells minis but I'll definitely be getting a full size version. Bliss is a brand that always reminds me of New York, I always think if I lived in New York I would go to the Bliss Spa then maybe a spot of brunch somewhere fabulous. At Christmas, Bliss were offering some wonderful sets - the one I picked up was the Triple Oxygen Set. The set included Triple Oxygen Energizing Mask, Triple Oxygen Energizing Cream and one of the Triple Oxygen Instant Energising Eye Masks, all for €58. The face mask alone is €58 so you basically got the cream and eye mask for free. Karen over at Everything Girlie has a review of the face mask with some rather brilliant pictures. I agree that it not a miracle worker, its a nice treat for your face (and you can pretend you're Santa). My skin is normal enough but it can become dehydrated at times (even though I drink tons of water). I am the Goldilocks of face products as I often find that creams can be too heavy and lotions can be too light. If I use creams thinking they will hydrate my skin, my pores can become blocked and whiteheads form on my cheeks. Not a good look. Lotions on the other hand can be too light and my skin feels tight. The Oxygen Energizing Cream "is just right". The cream has a wonderful consistency that is like a mix of a cream and a gel. Above is a picture of the cream in its jar and below it is on the left. You can see that it is more like a gel/cream than a liquid (on the right is Bliss Best of Skintentions). I find the cream wonderfully hydrating and it creates a great base when applying foundation. It is not too shiny or oily looking on the skin. Although the set was expensive I would definitely repurchase as it offered good value. The sets were going for half price during the sale which is fantastic value and probably why they sold out before I got my grubby hands on them (they were on Blissworld.co.uk and also on A.S.O.S as well as being in Debenhams Henry Street). I would love to know if there is a less expensive alternative that I can pick up so let me know. So, like a lot of other nail polish freaks, when I heard that Kate Middleton wore a Bourjois polish on her wedding day, of course I had to buy it. She wore Bourjois So Lacque in 'Rose Lounge' blended with Essie 'Allure'. 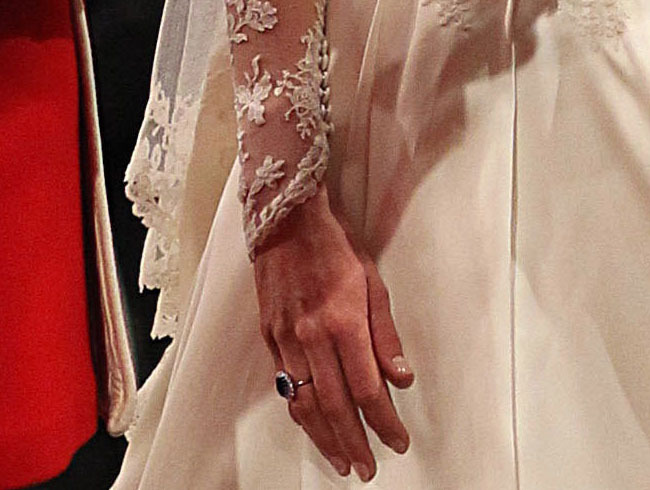 I didn't bother with the Essie, and just got the Bourjois as it was much more accessible to me - and the colour of it looks pretty much like the finished colour on Kate's nails that day anyway. It's a lovely, very pale pink that looks great with just one coat (like a shiny wash), or you can build it up with a few more coats. It costs €7.99 wherever Bourjois is sold. However... I was looking through some nail polishes that were very kindly sent to us by Fiona at New York Color and came across a really good dupe for it. Now, I know €7.99 isn't exactly mad expensive for a nail polish but if you can get the same thing for at least a fiver less, why not?! NYC's Expert Last Nail Polish in 165 'Carrie'd Away' (love the names of these) is pretty much exactly the same as Rose Lounge. The RRP of these NYC polishes is €1.99, but I have seen them on sale at €2.99, but even at that they're an excellent price. I did test both of these polishes, and I took photos, but they were too awful to be published here. Unfortunately my bad habit of rarely using a base coat has left me with nails as yellow as a 40-a-day smoker, so they are not fit to be seen on t'internet without at least two layers of opaque polish. But trust me, you would be hard pressed to tell the difference between these two polishes! You can find a list of NYC stockists here. Like a lot of people, 'What's in my bag/purse' blog posts and YouTube videos are amongst my favourites... seriously, what is it that is so fascinating about them? Anyhoo, I decided to jump on the bandwagon and show you all what I lug around with me all day. The bag I'm using at the moment is a Marc by Marc Jacobs Classic Q Groovee in black and I love it even though it's a ton weight even when there's nothing in it. I got it for my birthday about eighteen months ago and it looks the same now as the day I got it, even though it gets a good bit of bashing. My purse - this is really old & from Oasis. My diary & phone. The phone is an iPhone 4 and I LOVE it - I honestly don't know how I did with out it. The Hello Kitty cover is from one of those cheap Chinese phone places. Assortment of pens! My favourites are from Muji - the ones with the really thin nib. Penney's make-up bag - separate pic of contents below. River Island sunglasses that are just rattling around in my bag getting scratched to bits. Must find their case! Small see-though folder that I use to hold things like coupons, vouchers and parking discs & a Cath Kidston card holder that holds loyalty cards and other assorted cards that won't all fit in my purse. Perfume atomiser from The Perfume Shop. This is similar to the Travalo, cost me €9 and I love it. So handy. It has Estée Lauder Bronze Goddess (favourite summer fragrance for eva!) in it at the moment. Atrixo hand cream - got this free with something - it's grand, handy size for the bag. Biofreeze - I'm a bit addicted to this stuff. I fell flat on the ice last year and whacked my head off the ground, yes, kinda like the guy off the RTE news - scarleh. Ever since, I've had shoulder and neck pain that flares up every so often. Biofreeze is great for easing it without having to resort to painkillers or anti-inflammatories. It's also great to rub a bit on if you're a bit hot and you want to cool down, but eh, you're probably not supposed to use it for that. Hand Sanitiser - also a bit addicted to this, ever since the whole swine flu thing. Chanel Rouge Coco Shine in 'Boy' - this is lovely. Liz McEvoy Correct and Brighten pen - for my under eye black bags. Last Christmas I gave this eyeshadow my heart & a couple of months later it was gone. It was Nars, it was limited edition, it was beautiful and it was mine. The gray/silver was perfect and the blue/navy shade was very flattering on my eyes, we were going to have a long and happy life together. Picture a very messy makeup station later and Nars Okinawa hit the ground and when I opened it it was shattered, broken, kaput, in a heap. I pushed the eyeshadow back into the pan and I prayed that it was about to made a resurrection last seen by the big man himself. I opened my terrace door to blow the excess dust away..... and you guessed it, the whole feckin thing blew away. I.WAS.GUTTED. I know, I know there are millions of videos on YouTube and probably a good few blog posts telling me what I should have done (the wonders of the interweb or wha) I was lazy and now I am paying for it. Has anybody every had a beauty loss? Have you ever sat on your favourite lip gloss and it squeezed out onto your jeans (yep me again). I have a secret confession, although I love brash and in-your-face cosmetics I have a secret love for Laura Mercier. 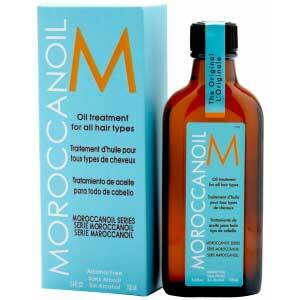 The products are good quality and the packaging is sleek and sophisticated. Last weekend they had a master class with an international Makeup artist (his name escapes me but he works with "Laura" as he called her) to promote the new Rivera Collection so I booked myself in and here is what happened. I love when counters have guest make up artists in (I am still kicking myself for missing the Nars masterclass) - usually there is a fee which is redeemable against products (€20). The makeup artists who work on the counters are usually quite excited too because they also get tips and tricks from the visiting makeup artist who works with the brand's main makeup artist or are involved with the product development. I try to take advantage of these and have enjoyed many from Stila and other brands (sniff sniff I miss Stila). I have really picked up some brilliant tips and its where I learned most of my knowledge about makeup and skincare (before YouTube and Blogs of course). I was told that the makeover would last for 45 minutes, 30 min with their own artist and 15 mins with the international make up artist, however they took their time and didn't rush and I was there for about an hour and 15 minutes. Below is image from the Rivera Collection and some of the products that I purchased. The very lovely Sarah started on me and removed my makeup, we had a bit of a chat about my dark circles (she asked me did I smoke, I don't... morto, my dark circles are literally that impressive) and she told me I should be using a good eye cream. She discussed the primer which of course is a stand out Laura Mercier product, I told her that I had it but don't use it cause I don't always have time to let it set. Ignore makeup rules was the response (who would of thought the classy Laura Mercier would be a rebel? ), put a bit on your fingers and rub between your hands and then all over your face, this saves on product and also as it doesn't set it gives more of a slip to foundation so you use less. She also told me that redness around the nose is hormonal. On my eyes the girl used Wheat Eye Basics, this is an eye primer which I think may become a new Holy Grail product for me (I will test it out more and get back to you) and then she lined my eyes including tight lining my eye. I commented that she was doing this before eyeshadow and once again she said not to follow rules. As she used the products she discussed them and explained how to use them. The international makeup artist was there to finish off the look and as the new range concentrates on eyes, he gave me great tips about the shape of my eyes and really made my eyes pop. He was a real pro and made me comfortable and made me feel glamorous and pretty, which is how we all want to feel isn't it. Laura Mercier products are very expensive, for example, the eye serum is €95. I told Sarah I would be back for that when I won the lottery. However every so often they have different promotional kits for approximately €75. These are generally worth a lot more and are filled with products including Laura Mercier brushes (which are brilliant). I would really recommend using these offers to check out Laura Mercier products. Many years ago when I was in drug store in New York I saw a brand called New York Color. I was in New York, there was a brand called New York... and it was inexpensive. Happy days. Like many American products we haven't been able to purchase them on our fair shores. Until recently that is. I have gotten my grubby hands on some NYC cosmetics (some items were sent to me and some were purchased). What I find interesting about this brand is the whole range is under €3.99. Yes ! THE WHOLE FREAKING RANGE is less than four quid. Many of the products are called after various parts of New York City or after things you would associate with New York. I love when the name of a product can put a smile on your face. Here is a little look I wore today using the eyeshadow in High Street. The shadow is a bright sky blue, this colour like a selection of the eye shadows from the range are quite bright. Some people find bright colours intimidating to wear but what is nice about this colour is you can apply it very lightly and build up colour. I used a primer underneath the eyeshadow and it lasted all day without moving or fading. I also used the liquid eyeliner in black which is supposed to be what Megan Fox uses and if it's good enough for Megan it's good enough for me. The brush on the eyeliner is really thin which means that you can draw a really precise line close to your lid and then (if you choose) build it up. On my face I used the Color Wheel in Rose Glow as an all over powder, this doesn't really show up on my face as a blush but created a nice glow on my skin without it looking heavy with powder. I have saved my favourite for last, and that is the High Definition Mascara. This is just wonderful, it gave length and separated my lashes and held the curl all day. Most importantly though, it did not irritate my eyes. I have been having a few eye issues of late which can result in my eyes running and some mascaras have made my eyes more irritated. I removed this mascara at 11 pm and my eyes were perfect. Awear are having a fantastic 20% off this weekend, if you're a fan on facebook you can print off this voucher or bring along your smart phone and get 20% off. 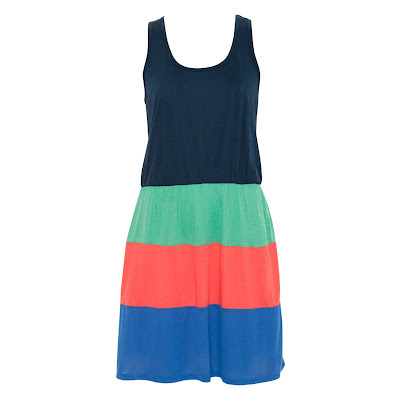 This is a lovely light summer dress very casual and easy to throw over on the beach (if I ever get to see one again). I am wearing it today with leggings. 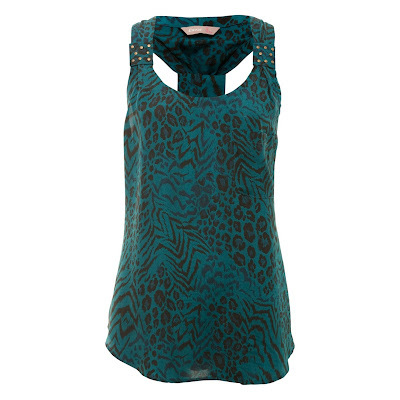 I love the colour of this top - it is fancy without being over the top. I also got a pair of cute shorts with a cherry design but I cant locate a picture at the moment. I bought these sandals in Penneys they were €15.00 which is a bit expensive for Penneys in my opinion but they are really nice. Let me know if you buy anything nice. Confession: I am a little obsessed with City Deals and Living Social. I check every morning to see what is on offer, of course the beauty offers grab me. Recently there was an offer for a Fish Pedicure on Living Social, it was a 30 minute pedicure for €9.00. How could I say no to that? Off I went this morning to Sole Therapy to get my feet sucked on by some tiny fishes. We rang during the week and they said that we could just walk in, but when we arrived they said at the weekend your better off making an appointment. We came back at our allotted time and we were told that we had to take our nail polish off and they don't like you to have applied fake tan (think of the fishy) they have a small area where you can remove your nail polish. Before you put your feet into the tank they cleanse your feet quickly with spray. When you put your feet into the tank the little fishes begin to swarm around your feet and start doing what they do. I am not going to lie .... it feels weird... they tickle and its quite an odd sensation, you can feel something around your feet. However after about two minutes your feet get used to the sensation and it just starts to feel like your feet are in a foot spa or Jacuzzi. It is a new fad and quite a busy little spot, a few people came in just for a nose (including one little boy who just wanted to see the fisheys). It is not painful or uncomfortable and the spa does not smell like fish. The fish look like they are hoovering your foot. My friend who was also getting it done is incredibly squeamish I thought she would freak out but she was grand and really enjoyed the pedicure. When your finished you take your feet out and dry off and away you go. There is no cutting of nails or anything like that...the fish are the beauty therapists (I am just saying this because my mam was a bit confused by the term fish pedicure and thought you would be getting a regular pedicure as well). Now I had been slightly worried about the fish after reading A Model Recommends experience but this was great, my feet felt lovely and soft afterwards the balls of my feet were really soft, I may need another trip to completely soften up the heels. For 30 minutes it is €18.oo which is not bad. I think I will def finitely give this treatment another go. Would you let fish such on your feet?